Q: Firstly I'd like to say it looks like a great product. Something that would definitely be of use for our corporate intranet. But first! I have a problem with the evaluation. I'm trying to get a click/context menu from clicking an image but no matter what I try the following .htm file errors with object required on line 15. I've read your examples / source over and over again but no joy - If I just display the menu with the usual <script> menu.js etc. entry it works but not with a popup? Please please help if you can? PS I've set the popupMode variable to 1 in the menu definition file. A: The installation of your Popup menu is not correct. 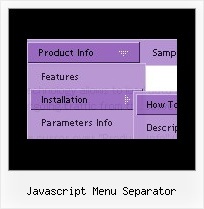 You should also copy dmenu_popup.js file into the same folder withdmenu.js file. A: You can install Deluxe Menus on unlimited number of computers. With Single Website license your reg. key will work on the registereddomain only. 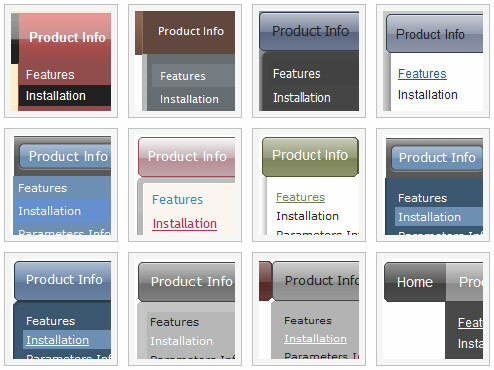 setDisabled(true);" /> <menuseparator /> <menuitem label="Exit" image="http:// www.zkoss.org/zksandbox/img/Centigrade-Widget-Icons/DoorOpen-16x16.png"
The lack of a menu separator is one of the main reasons I don't use Chrome more regularly. 3 of 3 people found this answer helpful. Did you? If you go into Stylish's overlay.js, change the block for clearStyleMenuItems to this: menuItemClassesToClear: ["stylish-menuseparator"